The reporting of Asiana Airlines accident at SFO has been interesting to watch. I have this theory that the media are kind of like random efforts to get more traffic than others looking for the angle to tell that gets the most traffic. Many times what gets the most traffic is not the truth, but what is most viral and gets shared through social media. So what happens if social media itself is the best source of what is going on. 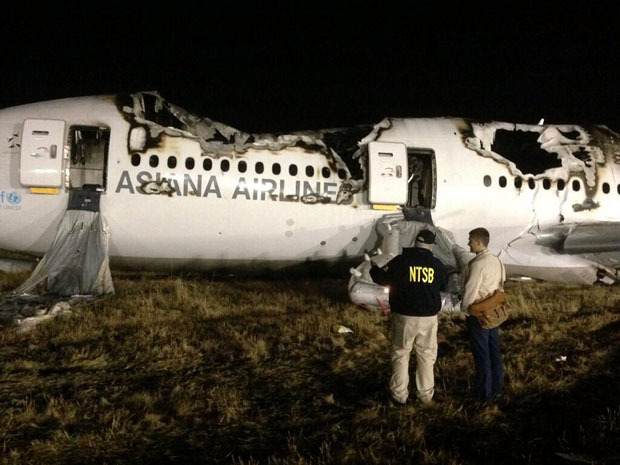 Example, PetaPixel reports on some of the most powerful photographs are coming from the NTSB. The media has been dominated by coverage of Asiana Airlines Flight 214′s crash landing in San Francisco this past weekend. What’s interesting is that some of the most powerful photographs showing the aftermath were not captured by professional photojournalists, but rather those with the most access to the site: US government employees. The National Transportation Safety Board (NTSB) of the United States maintains a very active Twitter account, and has been Tweeting live updates to this story since news of the crash first emerged Saturday morning. The officials have access to the real good stuff, and the media is looking for ways to get access. Here is B Roll of the wreckage that is again powerful, informative and without the colored commentary of a media reporter. If you want the facts of what has been disclosed you can watch the NTSB media briefing on YouTube. It is a bit dry, but that is what happens when you discuss the facts. What I find interesting is this 2nd media briefing is missing the mass of media logo microphones on the podium. With the use of Twitter and Youtube by those who have public information to share there is a change in how media operates. There are many who are curious what the conditions of the flight recorders are. and the NTSB provides one photo. This clearly answers there are two. They are recovered. Look undamaged. There are thousands of more pictures and videos the NTSB has taken and they pick those that they think are most useful.